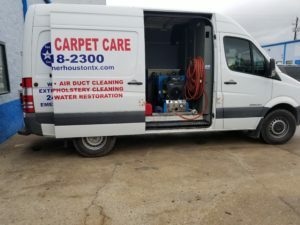 Commercial water damage restoration makes business and company owner go in to a stress mode, When knowing there business will not be up and operating, for this being there only source of income. But don’t go it to stress mode just yet Call us here at Tex A clean and let us see what we can do to try to get you back in you business a fast as possible. As our self being a business we know what it can fill like not having a business up and operating generating the money we need to keep our business established. If you are in need of a Houston Local Commercial water damage restoration company that is dependable and affordable. Then we are the right team for you. Our Business has all the right man power and equipment to make sure we get in and do your job the right way. Reasons Why it is Important to Hire Professionals! The reason it is important to hire Local professionals to do a full complete Water Restoration services for your business location, is that it will save you a lot of money and time, to focus on the next step you will need to do to get your business back up and running. Also when hiring a professional the business should already have Professional Drying equipment that you will not need to rent. If you are in need of a Professional In your local area call us today, We have all your needs on standby. We have Multiple Locations threw out Houston and all surrounding areas to better serve you Call us At 832-318-2300.